Edo State Governor, Mr. Godwin Obaseki (2nd left); All Progressives Congress Edo South Senatorial candidate, Hon. Patrick Obahiagbon (left); APC House of Representatives candidate for Egor/Ikpoba-Okha Federal Constituency seat, Hon. 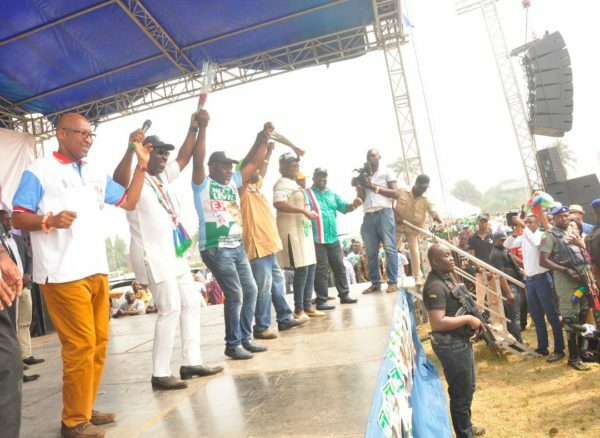 Ehiozuwa Agbonayinma (3rd left), at the APC’s campaign rally in Egor Local Government Area, on Monday, February 11, 2019. 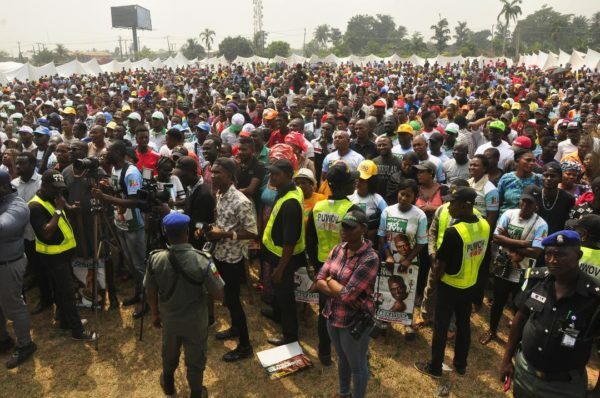 Cross-section of members and supporters of All Progressives Congress (APC), at the party’ campaign rally in Egor Local Government Area, on Monday, February 11, 2019.